Add all ingredients to an electric pressure cooker, like the Instant Pot*. Add water to the maximum level and bring to pressure for 6-7 minutes with a natural release. 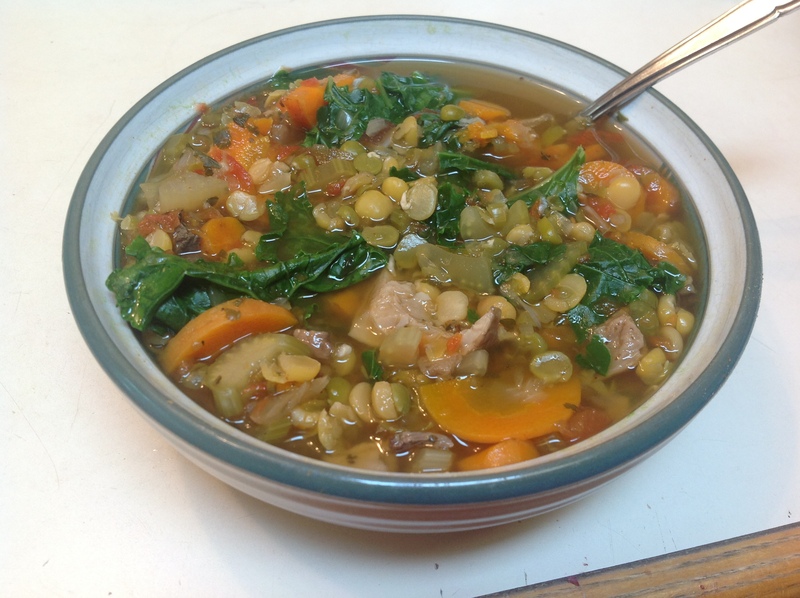 Ladle the soup over raw greens, like kale, collards, or spinach. The heat of the soup cooks the greens to perfection! Use code es50 for $50 off and free shipping! : https://store.instantpot.com/ If you want to know how to make more of Chef AJ's delicious recipes, go to EatUnprocessed.com!